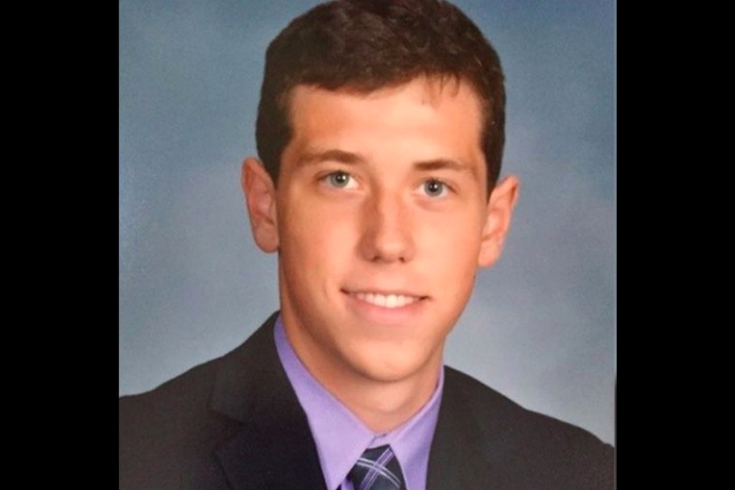 Daniel Duignam, 21, a Temple University student, was found shot-to-death inside his off-campus apartment. Daniel Duignam – the Temple University student shot to death on Saturday – likely was killed by someone he let into his off-campus apartment, according to Philadelphia police. "It was somebody that he was in the apartment with," Capt. John Ryan said during a press conference Monday morning. "There was no forced entry and the door was locked. Whoever did this left with the door locked behind him." Duignam, 21, of Northampton County, was shot three times – in the stomach, right arm and face, according to police. He was pronounced dead after emergency personnel responded to his apartment on the 1700 block of Diamond Street just after 9 p.m. Saturday. Police do not have any suspects at this time, Ryan said. Duignam, a junior business student, lived alone in a rowhome split into several apartment units. "It could have been one (person); it could have been several," Ryan said. "We don't know at this time." Police entered to find Duignam's apartment "ransacked," Ryan said. Investigators believe Duignam put up a fight while being robbed of money. "The scene certainly would suggest that," Ryan said. Police did not recover a weapon or any shell casings, leading them to believe the perpetrator either used a revolver or retrieved the casings before leaving, Ryan said. Duignam dialed 911 after being shot, telling the operator that he could not breathe, according to police. But Ryan declined to say whether Duignam gave additional information – about his attackers or otherwise – to the operator. Police are asking anyone with information – particularly witnesses who may have seen someone enter or exit the building – to contact them at 215-204-1234 or through the confidential tip line at 215-204-6493. On Sunday, Temple President Richard M. Englert issued a statement regarding Duignam's death, urging students to seek counseling if necessary. "The death of a member of Temple University's community takes an enormous toll on all of us," Englert said. "That is especially true amid the stress that occurs during finals and the close of the academic year. I urge everyone to seek help should you experience difficulty during this time." This marks the sixth reported death of a Temple student this academic year. At the beginning of the year, Jenna Burleigh, 22, was found beaten and strangled to death after being reported missing. In October, Richard Dalcourt, 19, died in a fall from his dorm room window. Later that month, Cariann Hithon was fatally shot by police after she crashed into a detective's cruiser during a trip to Miami. In late November, Michael Paytas, 24, was pronounced dead in the campus library after being found unresponsive. Days later, James Orland, a junior, died of an overdose in his off-campus apartment. Staff writer Marielle Mondon contributed to this report.